The Montclair High School Robotics Team is located in Montclair, NJ. 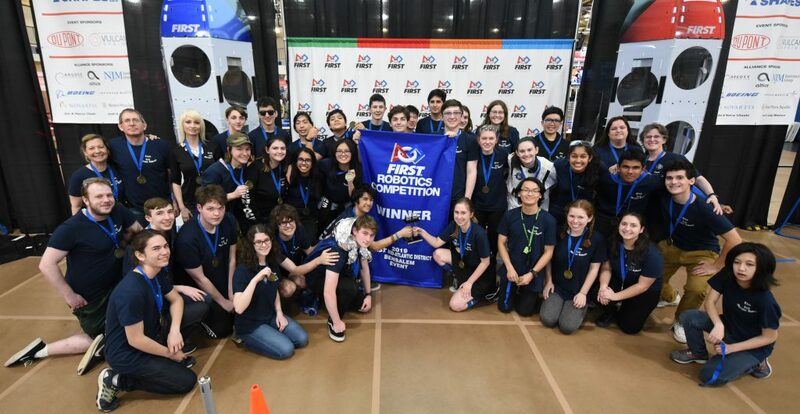 Founded in 2001, the team is unique as it competes in two robotics leagues. It competes in FIRST Tech Challenge as Montclair Momentum, Team 147. It also competes as Montclair Robotics, Team 555, in FIRST Robotics Challenge. Beginning in early September with FTC kickoff, the team works year round on both robots. When the team first was founded, there were two teams at Montclair High School, one of which was an all girls team. The teams worked and competed separately. Both teams were soon combined, and Montclair continues to encourage women to join and add to their team now. To this day, 50% of the team leaders are female. Our mission is to promote STEM in our community by teaching students in Montclair different skills learned by building and creating a robot. We also work to promote the principles of FIRST such as gracious professionalism and cooperation within our team. We work hard to create a safe, welcoming, supportive, and fun environment for all of our team members. Interest in STEM has declined over the years, especially in young women. Our team aims to keep this interest alive. Our ultimate goal is to teach everyone who meets and is touched by our team something new.